Philippe Clicquot-Muiron established Veuve Clicquot in 1772. However, it was Phillipe`s daughter-in-law, Nicole-Barbe Clicquot, who really laid the foundations of the modern company. She was one of the great innovators - it was she who invented remuage in the early 19th century. Now it is part of the LVMH group. 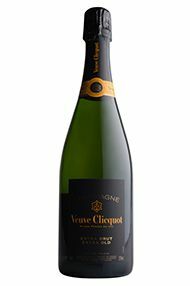 The Non-Vintage Brut is a blend of 55% Pinot Noir, 30% Chardonnay and 15% Pinot Meunier. It has a nose of white fruits and freshly baked bread and is fresh and balanced on the palate. 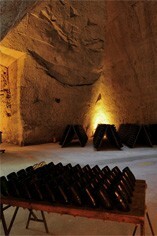 The vintage wines are similar in character but with more depth of fruit and more structure. La Grande Dame, first made in 1969, is a rich, smooth and finely textured Champagne that simply oozes class and breeding.